Wood stripping is a delicate process. It requires attention, restoration skills and knowledge and must always be approached with care. If not done correctly, the wood items can be discolored. 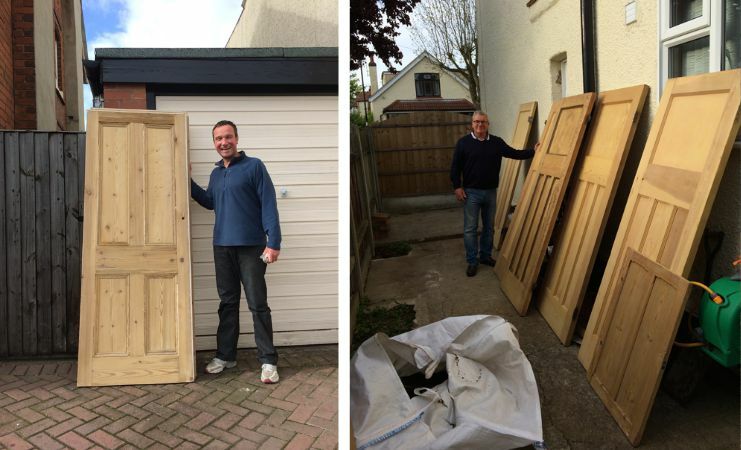 Old Door Stripping has the experience, skills, tools and material needed to guarantee the success of any wood stripping project. Our trained and friendly team of wood stripping experts can match any restoration job, small or big. At Old Door Stripping we specialise in wood stripping of internal and external doors, tables, chairs, beds, cupboards and many more. 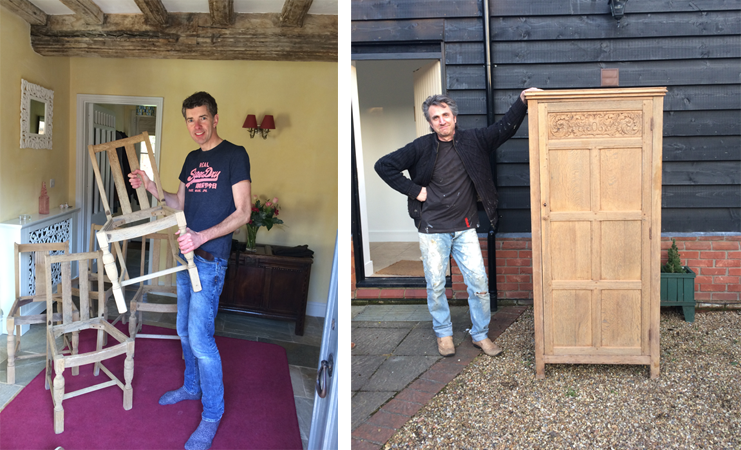 From pine, pitch pine and beech wood to, walnut, elm and satinwood, at Old Door Stripping we can breathe new life into your wood items and bring back their old glory. We can even strip paint out of plywood and veneer, although not recommended due to the low thickness of the wood. Our caustic paint wood stripping is gentle on the wood and will not damage it. 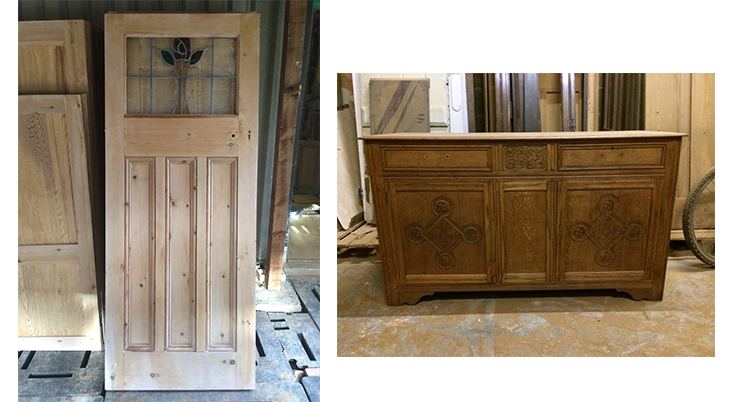 Entrust us with your furniture, doors, and other wood items as with Old Door Stripping your every restoration project is a success. The best solution for the oak wood is the non-caustic process, considering that the lovely light color of the oak can be known to turn dull and grey if met with the caustic soda, which is used in the dipping process. The non-caustic process will ensure that the colour finish is removed up to 95%, with no toxic residues on the surface after the paint is removed. Elm wood is a very strong, hard wood which works well with the caustic stripping process, always taking in consideration the finish the wood on arrival to our works. The non-caustic stripping is the best choice for beech wood furniture, considering that it is an extremely dry hard wood intolerant to dampness, which can significantly increase the chances of wood warping. The walnut wood is known for its strength, straight grain and its rich chocolate brown colour. As a representative of the hardwood type, the walnut can easily discolour or show grain cracks when stripped with caustic soda. This is why it is the perfect candidate for non-caustic paint removing process. Out of all the above woods, Pine is the most versatile wood which works well in the dipping process, dependant on the finish of the wood on arrival to our works. We strongly recommend hand stripping veneer and plywood due to the low thickness of the wood. Also we find that hard veneer comes out lovely after it has been stripped, sanded and finished with a wax/oil, but we find softer veneer does not take to well to a wax/oil finish therefore recommend to be completed up to the sanding process.